Happy Easter to you and your family! 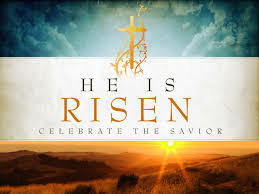 I hope you had a blessed holiday celebrating the resurrection of our Lord and Savior, Jesus Christ. What a beautiful day! The students will resume school on Tuesday. It'll be a short week filled with the unveiling of several mystery states, chapel service on Wednesday,a review on multiplying decimals, the start of a new Reading theme, and much more! On Friday, the students will travel to our local movie theater to see Spiderman: Into the Spiderverse. It'll be an enjoyable morning for all students of GSLS. FAMILY NIGHT COMING SOON - On Monday, April 29, from 6-7:15 p.m. our school and church will host family night.Dinner will be provided, followed by a brief devotion, and a family activity night by Phys Ed Teacher, Kathy Wackett. The event is brief, free and for the family. Sign up today in the narthex! or email the school office if you are coming. ROAD TRIP USA - Throughout the last quarter of the school year, the fifth graders are taking a road trip across America. The students just started memorizing all 50 states and capitals. Each day the students are responsible for answering a mystery state or states. There is a sheet of clues on the students' desk each morning and the students are responsible for finding out the state(s). At the end of the week, the class will have a quiz on the states they memorized. There are more details about this ongoing assignment. Click HERE. SPRING PTL FUNDRAISER - Envelopes went home with all the information needed for our Tupperware fundraiser. The PTL receives 40% of all sales! Help support your PTL as they provide LOTS of funding for many activities for your students. Order forms are due back April 30th. Prizes for top sellers and a drawing for all participating families. FOURTH QUARTER OFFERING - GSLS students are supporting Bethesda Group Homes here in Watertown this quarter. Please remember your offering each week as it is collected in the classroom. MOVIE MORNING COMING UP - The K-8 graders will be traveling to the Towne Cinema on Friday, April 26 for a movie morning. The students earned this for taking first place two years in a row for the AR National Challenge. Well done! The 5-8 graders will be seeing Spiderman into the Spider verse. Along with their movie ticket, each student will enjoy a popcorn and drink. The students are super excited to have the movie theater all to themselves. CALLING ALL STUDENTS- Coming up on May 12 (Mother's Day Sunday) Mr. Galaviz would like all students to participate in a brief song and prayer for our mothers. The students will participate at the early church service here at GSLC. Please come and attend this special time. BADGER DAY - The fifth grade students have "BADGER DAY" each Friday. Students take time to study a hero of the Bible, enjoy a special treat, and watch a video. Generally students should wear their badger gear or black/red that day. This shows our classroom spirit! The kids look forward to this each Friday. I appreciate all of the students' help in signing up and bringing a treat each week. BUCKY AROUND THE CLASSROOM- The students will start this reading incentive soon. This has always been a favorite reading incentive in Mrs. Baker's classroom. For every book the students read that is in their reading level, and AR quiz that they have passed, each of them will receive a Bucky Badger. The goal is for all students to contribute and read so they can get Bucky Around the Classroom! TOTAL BUCKY AROUND THE CLASSROOM COUNT - 249 BUCKY'S! MEMORY WORK AND SPELLING WORDS - Memory work will be on Wednesdays and Fridays, and your child's spelling test will be on Friday. Your child should have both in their Badger Binder next week. Please look for them there, or on this website under the spelling word tab.